Looking for gold earrings with diamonds? Pure elegance and glamour! Irrespective of whether you prefer to wear studs or pendants, you will always shine. Gold earrings with a brilliant are the perfect accessory for any occasion and are also great for complementing your bridal look. Find the pair you’re looking for on this page. What’s the difference between gold earrings with a brilliant and diamonds? Gold earrings with a diamond are not synonymous with gold earrings with a brilliant. Even though the terms diamond and brilliant are often used interchangeably, there is a difference. After all, a diamond is a gemstone, the brilliant is a type of cut. 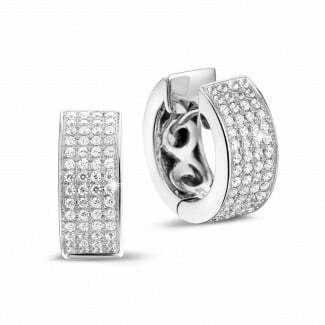 If you’re looking for earrings with a round cut diamond, you’re looking for gold earrings with a brilliant. 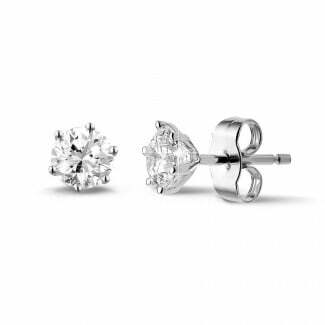 Whichever cut you decide to go for, at BAUNAT you can always be certain your gold earrings come with a top quality diamond. 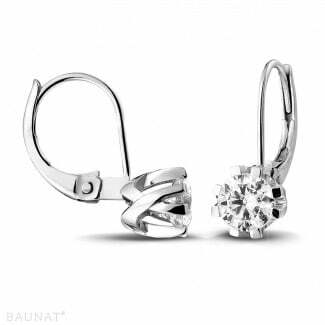 Which types of earrings can you find at BAUNAT? 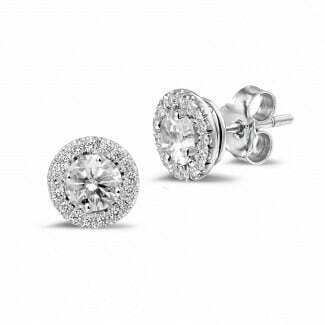 Diamond studs are a classic pair of earrings which will never go out of fashion. These gold earrings with a brilliant are truly timeless and fit incredibly comfortably. Do you prefer to wear longer gold earrings with a diamond? There is certainly also plenty of choice in pendants and bar earrings. 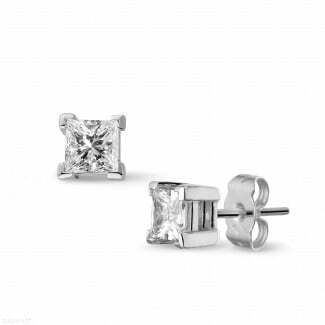 For example, you could opt to have a pair of diamond leaf earrings or a pair or fine bar earrings. Plus you can also choose between yellow gold, white gold and red gold for your gold diamond earrings. Where can you see this jewellery? 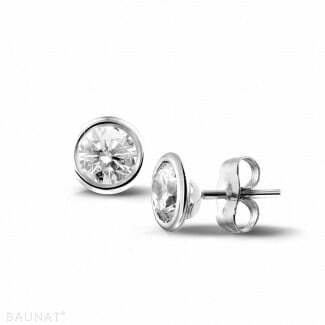 BAUNAT is specialised in the online sale of gold and diamond jewellery. We can offer you unbeatable prices, as we have eliminated any unnecessary intermediaries. Would you rather physically see your gold earrings with a brilliant instead of purely looking at them online? You always have the option of making an appointment for a visit to one of our showrooms. You can also contact BAUNAT’s experts by phone, email or chat for extra advice.